Any college student eager to take on after-school activities will consider joining organizations. Organizations can either be academic or extracurricular. Examples of academic organizations are science and math clubs, or debate teams. Extracurricular organizations, on the other hand, are not connected to any academic subject. These organizations focus on student formation, charity, or religious aims, and sometimes even specific ideologies. Fraternities and sororities fall under the extracurricular organization category. Fraternities and sororities are famous for instilling brotherhood or sisterhood by encouraging their members to obey a set of rules, follow a hierarchy, and voice out opinions on popular issues. Many such organizations have been recognized because of their contributions to society. Whenever important men or women are introduced to the public, their membership in a fraternity or sorority is also noted. However, some organizations are also infamous for requiring their acolytes to undergo hazing activities. Hazing is viewed as an initiation rite in which every pledge should surmount challenges in order to be recognized as a ‘brother’ or ‘sister’ in a fraternity or sorority. Hazing frequently results in injury, and in some cases even death. Pledges who successfully complete hazing become full-fledged members of the organization and are given a chance to conduct in future hazing activities as well. Hazing is viewed as barbaric and despicable by human-rights groups and has been outlawed in the United States. Unfortunately, it still persists due to the fact that even prominent fraternities and sororities view it as a tradition. Alpha Kappa Alpha and Delta Sigma Theta are two prominent sororities that have attained a good reputation over the years. The difference between the two stems from the fact that Alpha Kappa Alpha came first; the sorority was founded in 1908 at Howard University. However, five years later, some members of Alpha Kappa Alpha broke away and formed the Delta Sigma Theta sorority. Its members formed their own traditions, mottoes, and colors, completely independent of those of Alpha Kappa Alpha. As a result, there has always been friendly rivalry between the two organizations. If you’re a female college student interested in becoming a member of either Alpha Kappa Alpha or Delta Sigma Theta, you should consider attending events hosted by that sorority. This way, you will have an idea of how things are run there. Both sisterhoods are famous for championing social causes and contributing to charitable institutions, unlike many other sororities that focus solely on sisterhood and maintaining social status quo at their respective universities. Becoming a member of either Alpha Kappa Alpha or Delta Sigma Theta means a lifetime commitment to a specific ideology and fulfilling their objectives. Being in a sorority can be an advantage in college; most students join sororities to attain a sense of belonging and meet new friends. Reputable sororities such as the Alpha Kappa Alpha and Delta Sigma Theta hold meetings and nurture their members even beyond their college years. Alpha Kappa Alpha and Delta Sigma Theta are prominent sororities. Alpha Kappa Alpha was formed in 1908 at Howard University. Five years later, some members of the sorority broke away and founded Delta Sigma Theta. As a result, friendly rivalry has always existed between the two sororities due to their common origin. Attending events hosted by either sorority can provide one with an idea of how the sorority works, along with its ideology and aims. Prominent sororities are usually involved in social action and charitable causes, unlike minor sororities, which only focus on sisterhood and maintaining a social status quo at their university. Most students join sororities to attain a sense of belonging and make new friends. Celine. "Difference Between Alpha Kappa Alpha and Delta Sigma Theta." DifferenceBetween.net. May 15, 2017 < http://www.differencebetween.net/miscellaneous/difference-between-alpha-kappa-alpha-and-delta-sigma-theta-2/ >. Sigma Gamma Rho Sorority, Inc. (http://www.sgrho1922.org/) was founded in 1922 in Indianapolis, Indiana at Butler University by seven school teachers looking to improve the community through their dedication to service. Unlike AKA or DST, Sigma Gamma Rho is the only African American sorority established on a predominately white campus. 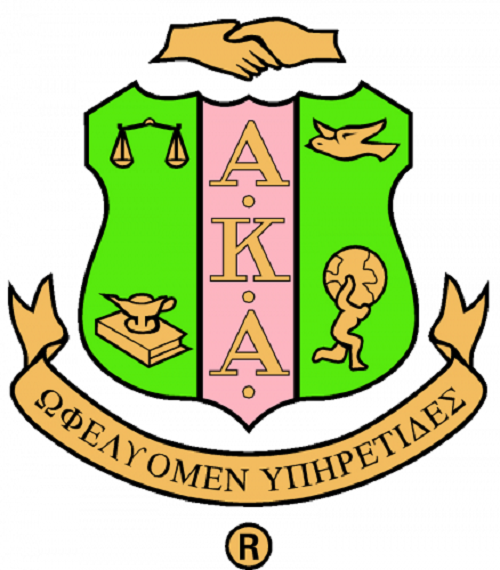 Our sorority is generally smaller, because we value quality or quantity within our chapter and do no mandate a specific number to which our chapters must remain at, like Alpha Kappa Alpha does with the minimum being eight. Due to our smaller numbers we are extremely close to one another, but are present throughout five nations including the Virgin Islands. Speaking as a member of Alpha Kappa Alpha Sorority, Inc. AND as a student at Butler University, AKA does not require minimum number of members in a chapter. I know chapters going strong with two members. MY chapter was instrumental in the founding of your sorority as Kappa Chapter was chartered in 1920 at Butler University. Knowledge is Power. I am seeking membership with the Deltas and I truly appreciate your response because there is no need to be negative. Way to go future sorer. You did the same thing you are chastising others of doing. I came on this page seeking information about which sorority might be a better fit for me. I’m a woman obtaining a degree later on in life. I’ve met a few women associated with both sororities and they seem to be pretty solid sisters. But the display I’m witnessing here today is sad. Regardless of the “rivalry” between the groups, as educated women especially of color we need to be far more respectful of each other than this. I’m very much disappointed. They all seem like gangs to me. All speak about scholarship and community service but just keep to themselves and exclude others. Why are African Americans wanting to be attached to an organization with a Greek name?. Just because the Anglos adapted the Greek names for their groups, we wanted to follow suit, generation after generation. smh. I agree, no one talks about the two young ladies that were forced into the ocean and died while getting caught up in riptides trying to pledge AKA in 2002 and the cover-up by the AKA’s and the $100 million dollar lawsuit, may they rest in peace. I don’t need colors or hand signs to make me feel important, these so called Soror’s go around sleeping with each other’s boyfriends and husbands. These Sororities have more cliques and drama and back-biting but they don’t tell you that when you are interested, you see the dark ugly side once you join. I think women with low-self esteem have to belong to these sick and twisted organizations and haze and torture others to feel powerful and important. I serve my community and I’m still friends with women I went to college with who chose not to join these organizations. I definitely don’t need to spend thousands of dollars to belong, it’s very expensive to keep up the façade. The dues have to go to pay for the hazing lawsuits that these Sororities and Fraternities have to pay. Nasty, hateful, mean, petty, pretentious, uppity, narcissistic, vain, bitchy, spiteful, judgmental, materialistic … the list goes on ad infinitum, dear Ladies of AKA and DST. Y’all ain’t in it for the sisterly / community outreach aspect. You do it because the name carries weight and prestige. Today I was talking to my daughter,who is only 11 .We had a discussion about college and sorties, I decided to come on here to show her what are the difference between the two. But, haven’t read anything specifically about their differences and beliefs. I’m a mother of two beautiful black girls. I teach them to respect themselves and others, have manners ,work hard, and most importantly put God first. If somebody can explain to me more details about each sorority without anybody being disrespectful to one another that would be great. Wow. People are people. We are all imperfect. Just consider being your best you in any organization you consider being apart of. Good Luck! Being a member of Delta Sigma Theta Sorority I understand the rivalry. However being a member of a cult could be seen as ridiculous until u look the definition up. A cult is any organiz asy ion that is of a familial nature ehich doesn’t hsve to spesk negatively. The rivalry beyween Delta and AKA us actually fun and healthy. Usually these two groups are friendly with a great friendship among tgeo members. It amazes me hmm u how individuals, who know NOTHING about being a member of a fraternity or sorority, feel that they can call these organizations “cults”. Glad to hear that you’re active in your community. We need more people like you, but don’t assume or presume that you know everything about us. We’re all imperfect human beings who are subject to all the pitfalls of every other human being on the planet. Please don’t judge all of us by the individuals you’ve seen. Please understand that there is lIfe after collegiate whatever you join. My family has members if the of all the Divine 9. Rivalry, yes, but at the end of the day, all 4 sororities were founded on Christian principles and uplifting our communities. While I’m trying to be positive, I’m wondering why 88Nupe88, felt the need to call names. 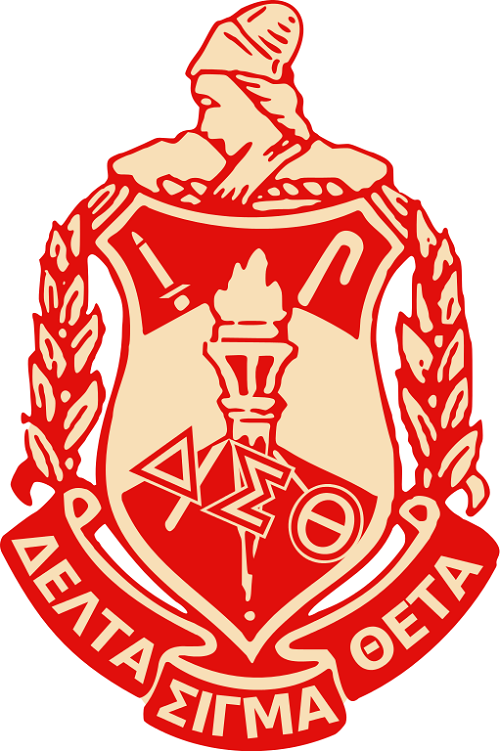 Proud Member of Delta since 1981!! Please stop embarrassing yourselves and these wonderful organizations with that foolishness. Try taking a spelling class or reading a self-help book to better yourselves.